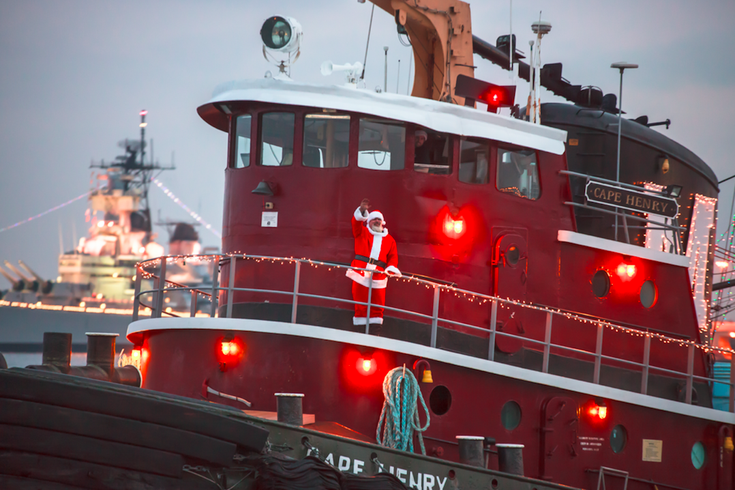 Santa waves from a boat during the Parade of Lights. 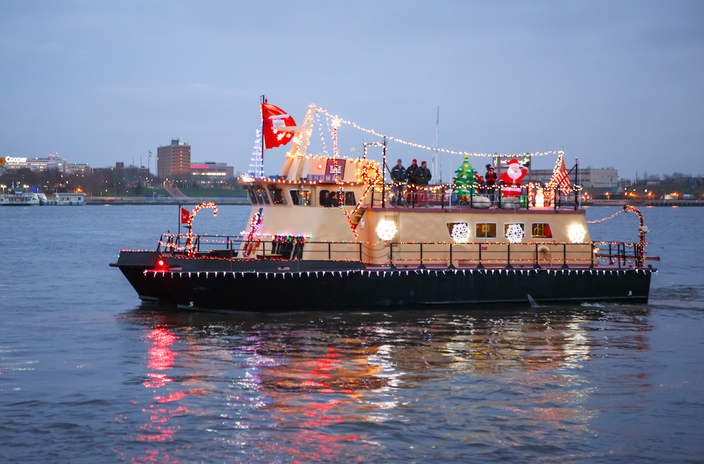 Saturday, Dec. 8, decorated boats illuminated by colorful, twinkling lights will set sail on the Delaware River. The Parade of Lights is a holiday tradition in Philadelphia, one that all ages can enjoy. It starts at 5:30 p.m. and is free to watch from Penn's Landing. For the best view, though, you'll want to grab a spot on Independence Seaport Museum's second floor terrace, overlooking the river. Admission is $17 for adults, $12 for children, students, seniors and military. Families are invited to spend the whole day at the museum, enjoying festive activities leading up to the boat parade. There will be arts & crafts, including an opportunity to decorate gingerbread boats, and a visit from Santa Claus, who will pose for photos at 2 p.m.
Watch decorated boats sail by during annual Parade of Lights.